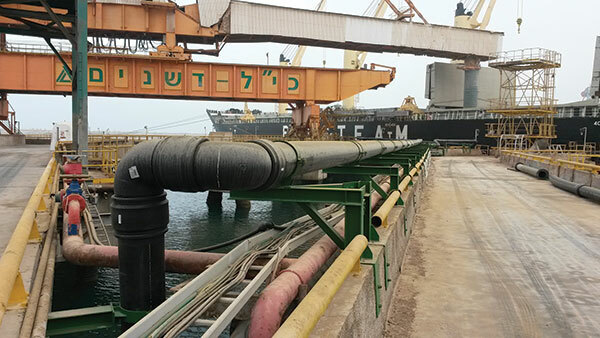 Commonly at Ashdod Sea Port (Israel) they require to transport all kinds of chemicals, acids and slurries to ship for export, from the port to the shipping boats. many years carrying them. 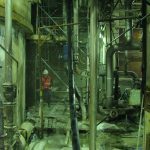 This steel pipes were very expensive to maintain, including frequent cleaning. Pexgol’s proven ability to deal with acids. 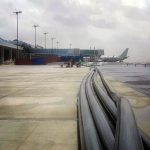 The possibility of installing a 315 mm continuous pipe line without flanged connections in curved sections, saving the number of flanges and dramatically reducing weak points. 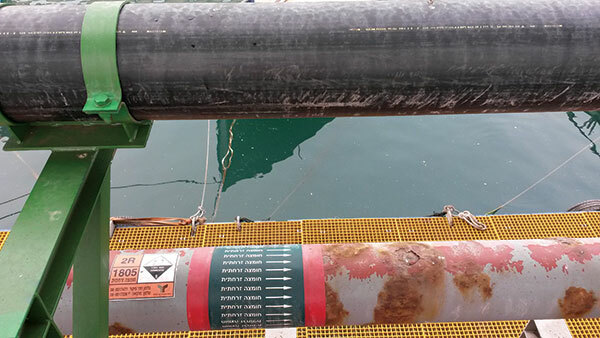 The Pexgol pipes were installed hanging with fixpoints on top of the current steel pipes, without damaging them. Omegas were installed as well (that couldn’t be done with PE pipes). 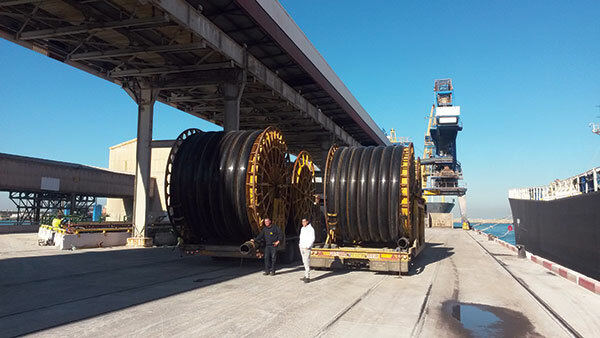 Took 10 days to install and operate the line, having the ships waiting in the water, the line started working immediately after completion.